So what leverage may Kris have? 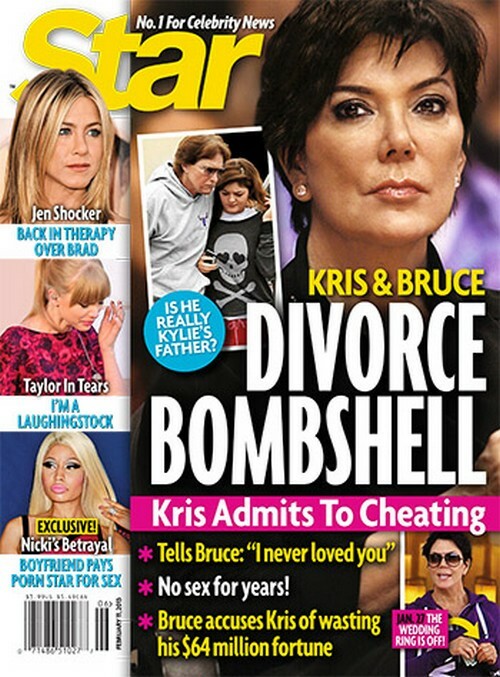 Well according to the same source Bruce may like to engage in a bit of cross-dressing from time to time and Kris has threatened to tell the world all about it if he hits the bricks! Also there is a mountain of money and financial investments at stake. I can’t imagine Bruce caring as much about that. I think it’s a personal secret and wanting to be around his daughters daily that his kept him with Kris for this long. Also Kris is capable of anything and to her any publicity is good so I don’t think it’s at all beneath her to create some sort of nonsense just to grab headlines and make her once-doting husband look like an a**. How long before the Jenner’s finally publicly admit defeat and announce a split? Do you expect it to get super ugly once that announcement comes? Tell us your thoughts in the comments below! LeAnn Rimes Caught Crying Over Brandi Glanville Again?